There are so many options out there, and many of them are economical choices. If you're just after a warm, sandy beach, then sure, go for the budget choice. But what if you've always dreamed of visiting some place that isn't known for being economical, like Australia? Should you throw caution to the wind and just go? Yes. GO. 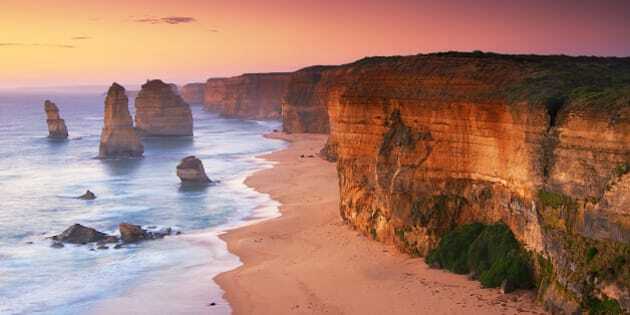 The Twelve Apostles landmark off Australia's Great Ocean Road at sunrise. Winter seems to have already kicked in here in Saskatchewan. We had whiteout conditions back on October 5, and it's been cool and grey since. By all accounts, it's going to be a long, cold winter for most of Canada. I am one of those bizarre souls who adore winter. But I'm thinking this winter might be too much even for me. It's time to start dreaming about a vacation to a warm, sunny locale. There are so many options out there, and many of them are economical choices. If you're just after a warm, sandy beach, then sure, go for the budget choice. But what if you've always dreamed of visiting some place that isn't known for being economical, like Australia? Should you throw caution to the wind and just go? Yes. Go. Really, what did you expect me to say? I'm the girl who consciously chooses joy. Live each day like it's your last. Do what makes your heart happy. Go. Still, unless you just won the lottery, you might need to be a little creative in order to get your sweet self down to Oz. Below are some tips to help keep your trip affordable. Flexibility helps a lot. 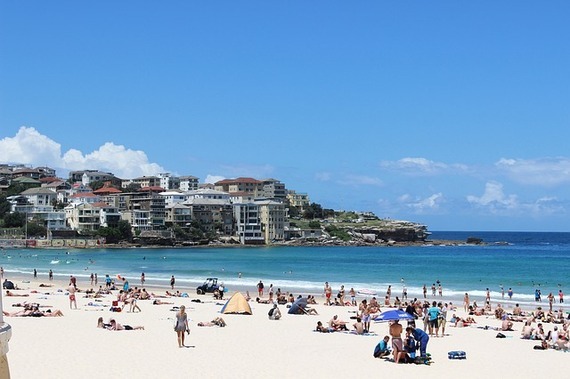 December through February are Australia's summer months, and the high season as far as flight costs go. If you can get away in November (there's still time! ), the memories of your bucket list trip will keep you going on those -40C days. On the other hand, if you go in March, the planning and anticipation will put pep in your step even when you're wearing ice grips on your boots. There are several apps that make it super easy to find economical airfare. And if you can be flexible with your travel dates, sites like airfarewatchdog.com will email you when great deals pop up. Despite looking tiny down in its corner of the globe, Australia is actually the sixth largest country in the world. Road tripping it really isn't a feasible way to explore. While staying in one major centre for the entire trip is most economical, there are a number of options for exploring the country, and some are quite reasonably priced. Domestic travel fares will vary based on type of transportation, carrier, date of travel, and date of booking; as well, some travellers may be fortunate to stumble across sales, voucher codes, or coupons. But for the sake of comparison, I did some quick research on the cost of travel from Sydney to Melbourne on March 15, 2017. 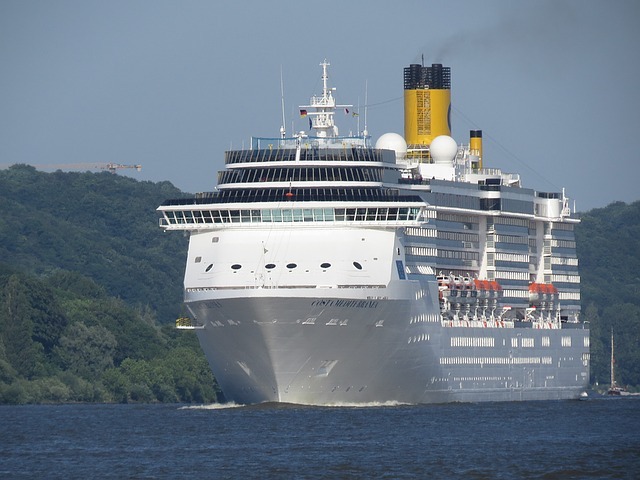 While it's not the cheapest or fastest way to travel, it's possible to take a cruise between most major Australian centres. At $549 (double occupancy) on my hypothetical March 15 travel date, a cruise between Sydney and Melbourne includes two nights of accommodations, as well as meals, making the overall cost seem somewhat more reasonable. However, on the same date, for travel between Sydney and Melbourne, Greyhound bus tickets start at $189; Google Flights lists a number of flight options for less than $100; and train tickets start at a very reasonable rate of $45. Potentially the most budget-friendly of all, campervan rentals are quite popular in Australia. While rental rates start at $65/day for my hypothetic trip on March 15th, don't forget that campervans provide accommodation as well, and can be a significant cost saving. It is also well worth looking into "relocating" campervans. When travellers rent a vehicle in one city, and then end their journey in another location, the vehicle needs to be returned to the rental company. If you're able to do this, it's possible to rent a campervan for $1-5/day, and also be reimbursed for (some) gas costs. This site has great tips on how to make this option work. If you've done any kind of budget travel up until now, you'll know how to source deals on accommodations. Hostels, Airbnb, and hotel coupon sites are popular ways to keep accommodation costs low. Being on vacation doesn't have to mean eating out for every meal. Some accommodations have food prep options included (like hostels, Airbnb rentals, and campervans), making it easy to cook your own meals. When shopping for food, make sure you check out farmers' and produce markets for fresh, local eats. For those times you do want to dine out, use apps like UrbanSpoon and Yelp to find well-reviewed restaurants within your budget. As with any vacation, there is plenty to do and see in Australia that is low-cost or free, including visiting national parks and beaches; going to museums and other places of cultural interest; taking part in local festivals; exploring churches; doing self-guided walking tours; and just plain old people watching. 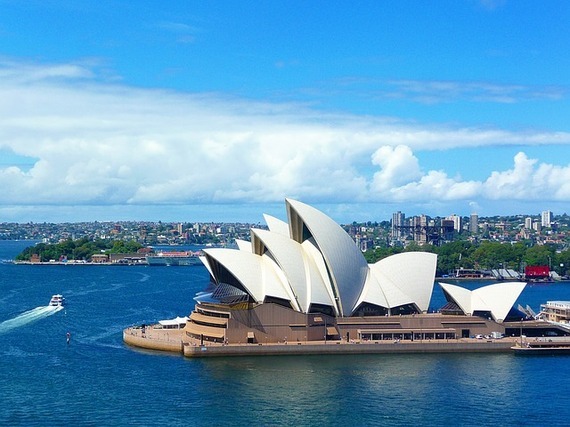 While this link lists twenty things to do for free in Sydney, a little research will help you find free/low-costs things to do in the locations you plan to visit. The more I think about it, the more feasible a trip to Oz becomes. Now, who wants to be my travel buddy?